On November 16 approximately 20 aspiring librarians and archivists got up really early to take a road trip to Ottawa. 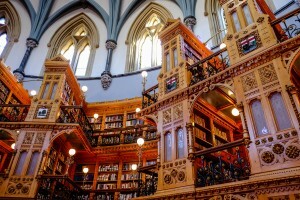 The day’s schedule included a behind-the-scenes tour of the National Gallery of Canada’s library and archive, as well as a tour of the Library of Parliament. It was a gorgeous day, albeit a little chilly, and we learned about lots of neat stuff! Our first stop was the National Gallery where our group was split into two so we could fit in the stacks of the library and archive. 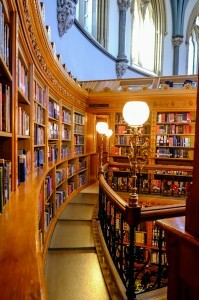 The library houses a number of books and periodicals about Canadian and international artists, although the focus is generally on Western art. As our guide explained, most of these books serve researchers, but they can also be used by other people, such as those who are looking for auction price information. 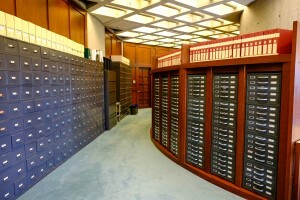 They also house a large number of exhibit guides from museums around the world. The archives on the other hand, house more actual works of art. One staff member explained to us about an art periodical that regularly produces a small piece of art to go along with each issue. She told us about the challenges involved in cataloguing untypical objects, showing us a recently acquired ball that she had yet to catalogue. We were also able to see some other examples from the collection, including some sketchbooks belonging to Emily Carr, amongst other small pieces of art. After spending the morning in the National Gallery, the group continued on to the Parliament buildings, where after making it through security we met up with two Parliamentary librarians. The best part of this tour was that we actually got to see the collection close up, as well as visit their rare book room. Normal tours of Parliament will only get a short glimpse into the Library, but we were able to get a much more extensive tour. 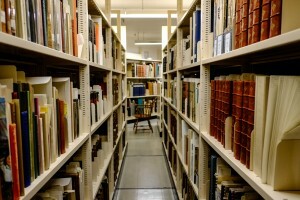 After hearing about the library’s history, we were taken into the stacks, and then down into the basement to see the rare books collection. We were able to get a look at John James Audubon’s Birds of America of which the Library of Parliament has a unique copy. 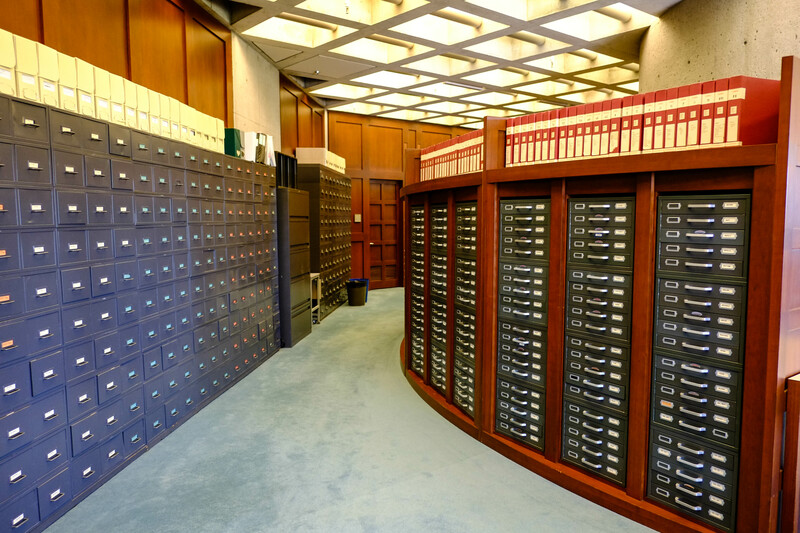 For the most part though, the library collection holds reference materials for Parliament, as well as parliamentary and committee proceedings. It was certainly well worth the early morning and drive to Ottawa to see these libraries and archives, and thanks to the ABQLA and the SLA student chapters for putting together a great trip. Also, as a side note, 3 out of 4 librarians or archivists who led our tours were SIS graduates! Thanks to Jiamin Dai for all the lovely photos! Published by devonlemire on November 30, 2015 at 1:55 pm under Information Professionals, News from Student Groups. 0 comments. That first semester classes are introductory in nature. 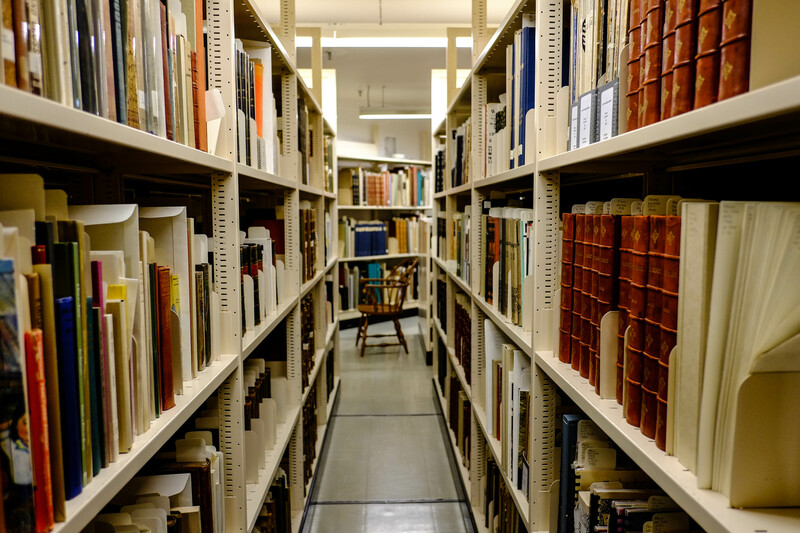 Nobody has a bachelor’s degree in library or information studies and there are lots of basic concepts that just have to be learned before you can move on to more exciting things. On the other hand, it’s nice being in the same boat as everyone else and you have lots of potential study friends! The coding class (617) is really not as bad as expected. I consider myself to be a competent computer user, but even I was a little hesitant about taking a coding class. It’s actually turned out to be a lot of fun and I enjoy exercising a different part of my brain! Group projects happen all the time. I come from a history background where group projects are impractical at best when most of your assignments are 15 to 20 page essays. Pretty much everybody in the program is motivated to be here and willing to pull their own weight, so overall group projects have been fairly successful. The tradeoff is that it takes much more time to pull three people together than it does just yourself! I still don’t consider myself a fan of group projects, but I’m realizing that they could be a lot worse. Everyone in the program is really friendly. Joining some student groups has been a really great way to meet new people and keep up with what’s going on in the community. I really enjoy just knowing what is going on in the school and meetings can be a lot of fun! The sheer number of courses offered is pretty stressful for first year students. 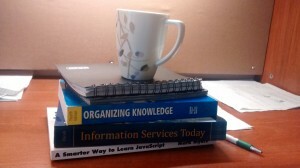 Most of us are taking a grad degree in part because we enjoy learning new stuff and the fact that there are way more interesting courses than there is time to take all of them is kind of overwhelming. Everyone points to courses which are important professionally, and add that to the number of courses that explore a range of subject material, it makes for some difficult decisions! Thompson House is a great place to work on assignments with people. Tables, comfy chairs and food service means its ideal if you need to go over some coding exercises with some friends! Study break is a lifesaver! You plan on doing lots of cool things in and around Montreal, but end up doing homework and catching up on sleep. The key seems to be to do all the cool things in September before life gets too busy! Every single person I talked to from the second year of the program has mentioned winter and the fun that the hill is once it starts to snow. I’m from Edmonton, so I thought how bad could it be? I have yet to experience this for myself, but the message is clear: DO NOT UNDERESTIMATE THE HILL! The last two months have been incredibly busy and exciting, with lots of new experiences. and I’m looking forward to what the next few months will bring. I suspect that two years at SIS will go by in a blink of an eye! Published by devonlemire on November 2, 2015 at 7:00 pm under SIS Student Life. 0 comments.